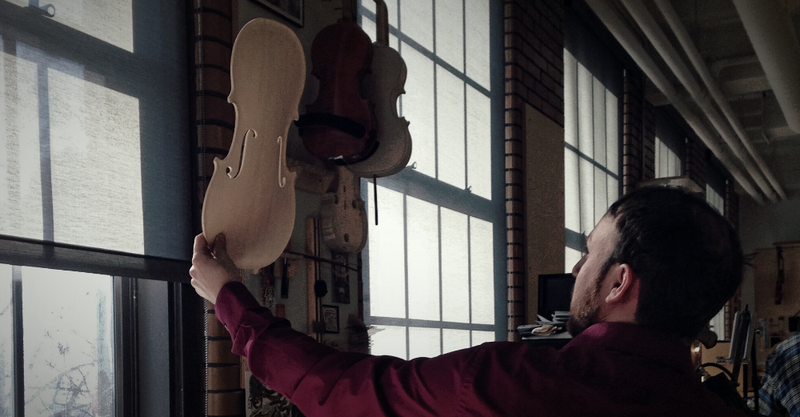 I make and repair violins, violas, & cellos. I see myself as a tool maker. My goal is to combine physics, history, and craft into the best possible tool I can for the musician and for the music. That’s why I particularly enjoy collaborating closely with musicians to fine-tune their instruments. I am a graduate of the North Bennet St. School’s Violin Making and Repair program, where I studied under master luthier Roman Barnas. I have also had the opportunity to attend the renowned Hans Nebel’s set-up and repair workshop, and have participated in the Oberlin Acoustics Workshop.